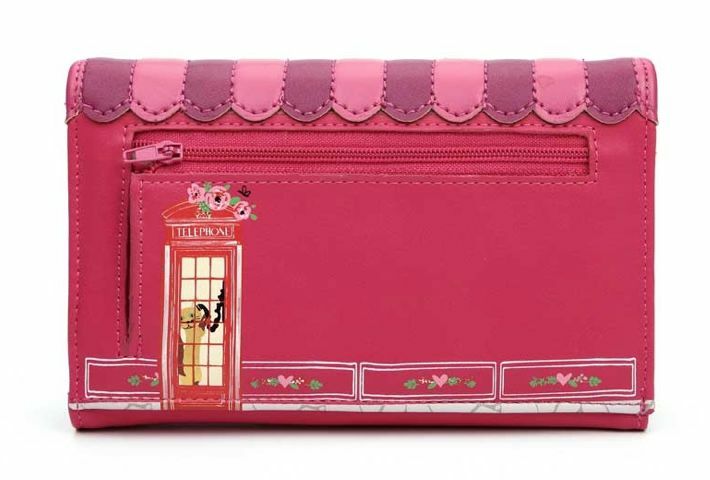 A lovely and practical wallet that does its job very well and allows you to fit in all you need to keep in a wallet, from cards to receipts to notes and coins. And another bonus is that it can be wiped clean with a damp cloth. 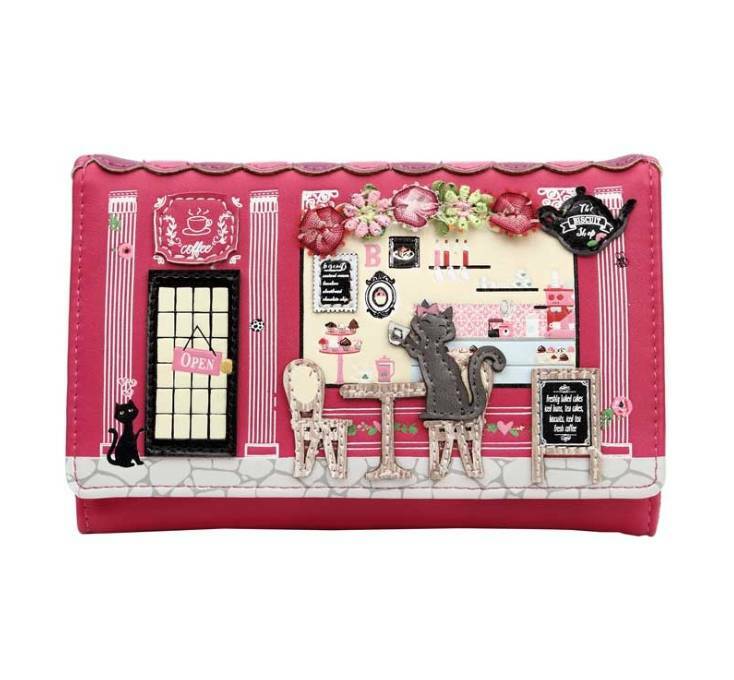 The Vendula Cherry Biscuit Shop All-in-One Wallet has wonderful details that are hand sewn to be sure they stay in place. 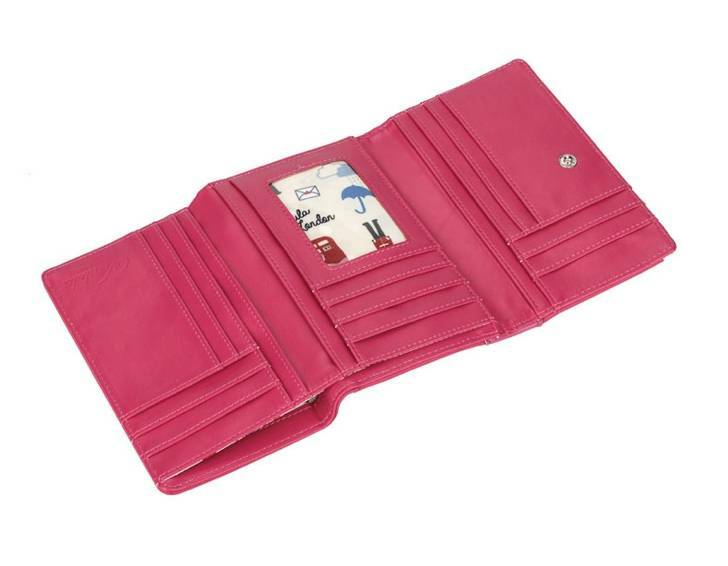 It closes with a strong hidden press-stud and has one window pocket for ID cards and a foldout section for notes. There is also a secure zipped compartment for coins at the back as well as space for 9 cards + 10 side pockets. The little cherry wallet that has more space than you think!